​Real Madrid have been tipped to ask for a fee of €130m to part with Welsh winger Gareth Bale this summer, six years after he joined the club in a world-record move from Tottenham Hotspur. It comes after ​gossip earlier this week that Real have informed Bale's agent they wish to sell and will let the player himself select his next club, as long as the offers that come in are similar. It may seem optimistic given his age and past fitness record, but AS claims that Real will demand a minimum price of €130m (£112m) when they open negotiations with potential suitors. That AS report also suggests that Real are 'convinced' that Premier League clubs would be willing to pay big money for Bale, although it is also said that Los Blancos are aware they might ultimately have to drop the price to actually secure a sale. Exactly which Premier League clubs remains to be seen. Manchester United have been heavily linked with Bale for years, even trying to steal in before Real back in 2013. But such rumours have finally dried up and the new position appears to be that the club is no longer pursuing the 29-year-old, who is due to turn 30 this coming July. Of the other big clubs in England, one would argue that he isn't required at Manchester City, doesn't fit the right profile for Liverpool and is too expensive for Arsenal. Tottenham have been linked with a move for their former star, but price could once more come into it, while Chelsea have a two-window transfer ban hanging over them that would kill any interest. AS has been very keen in recent weeks to push the idea that Real will sign Paul Pogba from Manchester United this summer and therefore turns once more to a possible exchange deal. But with Pogba not for sale, thought to be seeking a new contract at Old Trafford and manager Ole Gunnar Solskjaer declaring he 'cannot see' the Frenchman leaving, that appears dead. What is interesting, however, is the ongoing speculation that Real are interested in Tottenham midfield star Christian Eriksen and what that could mean here. 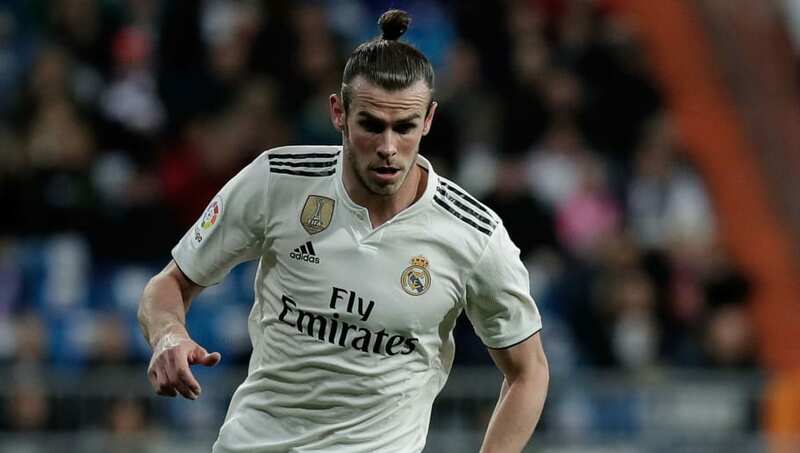 AS also make the connection to a possible exchange on that front and it is claimed that Bale 'would be happy' to rejoin Spurs. Real are seeking a long-term replacement for 2018 Ballon d'Or winner Luka Modric, who will turn 34 years of age in September. Eriksen could be the perfect solution, although Real are also believed to be pursuing soon-to-be free agent Adrien Rabiot as well.